Science-y Hair Blog: pH and Your Hair. A little redox to make you happy. Here's what I know and what I think about pH and hair products. This is "redox" chemistry (oxidation and reduction). One of my teachers said to our class, "Next week, we'll be doing redox," followed by an evil laugh. I love it because it applies to so many living systems we work with every day. I think you will too. Get ready for a chemistry smackdown on hair cuticle folklore. Forget all that stuff you've heard about cuticles being open or closed as a result of different pH. Cuticles being "open" when it is the result of a solution you put on your hair is a side effect of hair swelling in the wrong pH, in strong detergent, or in just plain old water if it's wet for too long. Likewise for cuticles being "closed." The shortest story possible: If you do not want to suddenly damage the structure of your hair in an irreversible way - keep it out of solutions with a of pH 3 or under, and out of solutions with a pH 9 or above. Especially do not leave your hair in these solutions for a long time. For that matter - keep those sorts of solutions away from your skin and eyes also! These extremes will tend to cause the hair to swell, take on acid or base, and structural damage is the result. Examples of things you might want to avoid putting in your hair to avoid those extremes: pH 2 is undiluted lemon juice, straight vinegar can be pH 3, so can soda drinks. Why you would put soda in your hair, I don't know. But you put it on your teeth when you drink it, which I find disturbing. To get to pH 9, you need (diluted) sodium hydroxide, lithium hydroxide, potassium hydroxide, or guanidine hydroxide used in hair relaxers or ordinary soap (the kind made from fats and lye). Rinse-out products are safest for hair between pH 4 and 6. Leave-on products are safest for hair between pH 5 and 6 (or 4.5 and 6 for bleached or lightened hair). Treatments which use heat or are meant to be more than superficial are safest between pH 5 and 6. To prevent sudden and irreversible damage to hair, stay between pH 4 and 9. Keep in mind that products marketed to the entire family are assumed to have contact with eyes, nose, and mouth during use and when rinsed off. So a neutral or near-neutral pH around 7 may be ideal for safety reasons. You also need to know that certain preservatives are more active in a specific pH range. That means that the product pH needs to be kept tightly within a specific pH range to assure the preservative will work well and continue to work for the full anticipated shelf life. These non-hair considerations are a big deal because irritating people's eyes and noses and mouths is dangerous and potentially litigious, and choosing a preservative which will work with the variety of ingredients in a product and stay stable for 1-2 years is one of the more difficult aspects of product formulation. Your hair is mostly protein and oils and water (if you ground it up and measured what is in there - that's what you'd find). Those things carry charges - positive or negative. Hair tends to have a greater number of negative charges when you're running around during your day. We're dealing with the surface of the hair because that's where these solutions mostly act. Once hair has swollen in an inappropriate pH solution, you begin acting on the interior structure. Bad news! Charge is sometimes pH-dependent. If you move an item from an acid environment to an alkaline or basic environment, it will switch to an opposite charge as it gains or loses electrons to the environment. It's electrons that represent charge in the first place. Hair (proteins and smaller particles) have an "isoionic point." That is the pH value at which it is in balance between positive and negative charge - there is no "net charge," the same number of positive charges and negative charges exist at the surface. Your hair is taking up neither acid nor base from the solutions it is in contact with. It's stable under these conditoines. Everything is groovy. If you put your hair in a solution lower than 5.6-6.2, such as vinegar or lemon juice or a citric acid rinse, it will take on acid (that's protons or + charges). If you put it in a solution higher than 5.6-6.2, it will take on "base" or OH- charges. That's right - when you use baking soda-water on your hair and it feels extra-soft, it's soaking up base and taking on that slippery, slimy feel shared by many bases. Shifting the electrostatic charge on your hair takes a toll because you can't do that without altering the chemistry of the proteins and oils that make up your hair in some way. and negative charges are in balance. What is healthy hair's isoionic point hair? Around pH 5.6 to 6.2. But there's more! Has your hair been oxidized by bleach (highlighting, permanent dye, swimming pools) or by the sun? In that case the isoionic point decreases because oxidation changes the chemical composition of the surface of your hair. You might be able to go a little lower in pH - and benefit from it. This is one reason why products for color-treated hair often have a lower-than-neutral pH and are marketed based on that feature. So what!? We rinse a lot of these products off in pH ~7 water, right? Yep. Though even brief, repeated extreme pH insults would still be a bad idea. 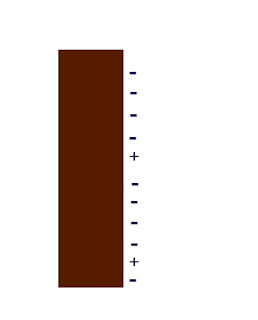 Below pH 5, acids enter the hair if left on hair for a long time. 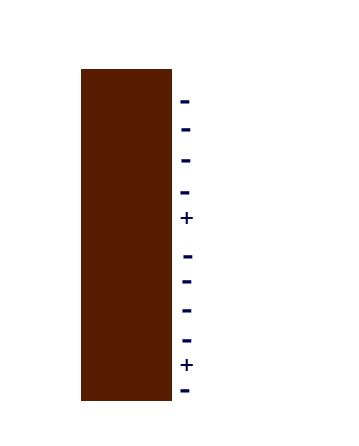 of the whole oxidation/reduction picture. So why are some products formulated with a lower-than-5 pH? Because bleached hair can go lower, and many people's hair can potentially tolerate a lower pH if they are quick about it. That's where the isoelectric point (different from "isoionic") comes into the equation. 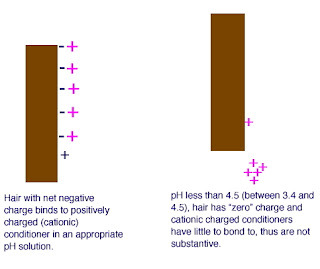 Your hair's isoelectric point is way down between pH 3.4 and 4.5. Isoelectric means the hair temporarily has zero charge. If you read about these things online or in the popular media, you will encounter the idea that a quite-low pH product, having knocked the charges away, leaves your hair with tightly-closed cuticles and therefore very resistant. That is not an adequate explanation for me! I prefer to think of it as the point at which your hair is "non-reactive." Non-reactive refers to what happens between hair and things you put on your hair. "Tightly closed cuticles" implies that once you close them, they cannot be opened like a locked door. Or something. It doesn't hold up to scrutiny, such as the question, "Okay, but then what will keep them closed?" We must ask ourselves - if the hair is charge-free, how will it bond to cationic-charged conditioners for better slip? Indeed, it seems that cationic conditioners are more strongly adsorbed to hair (adhere more firmly) above pH 3.7. You need some negative charges on there, people! A lower-than-4.5 pH would be completely counter-productive in a cationic conditioning product. values below 4.5 when hair has a "zero" charge. 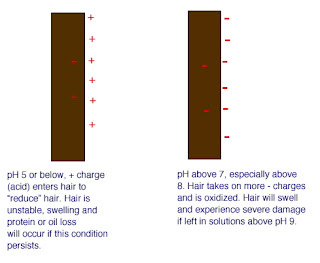 For short-term, superficial treatments like shampooing or conditioning or rinses the isoelectric point sets the very bottom limit: Below pH 5 your hair is out of balance, but not necessarily in danger. You're not going beneath the surface of hair with these treatments and they are short-lived. Stay above pH 4 and below pH 6 and you're in good shape. For a pH 4 or 4.5 hair product (like a gel) that will take many hours to dry in your hair - that might be a problem. It's still superficial or a surface-only treatment, but the length of time it stays wet and therefore active might cause problems. Probably better to be around pH 5.5 for that, unless you have lots of highlights or bleaching with hair dyeing. It's those longer-lasting and more invasive treatments like permanent waves, hair bleaching, high-heated treatments in which you absolutely must keep hair in that 5.6-6.2 range, especially because it's not just the surface you're dealing with - perms and bleaching are deeper than the cuticles. Hence the "acid perm." Why does my hair not respond well to acidic rinses? So if low-ish pH isn't necessarily evil to your hair, then why can vinegar or citric acid rinses leave hair feeling dry and rough? Let's say your hair is porous (even if just the ends are) - those solutions with a less-friendly pH get into your hair more easily and have access to a lot of surface area. You just got a bigger dose. Acids have corrosive action - they donate those "+" charges that lead to rusty metal. Acids can dissolve things like calcium. Acids can destroy fats and proteins. Think of what happens if you put lemon juice in milk (it curdles). Or if you put a nail in a glass of Coke. Weak acids like vinegar or citric acid can strip off some surface oils and proteins. Acids may interact with your water, with the mineral deposits on your hair, the ingredients in your products. The possibilities are endless. There's nothing wrong with an occasional vinegar or citric acid rinse as long as they're diluted properly but chemically, it can be a wild card. Some people have very resilient hair that can tolerate acidic rinses whereas other people's hair will swell and take on acid immediately. Some people's hair can tolerate acids but not bases. Everybody's hair is different for so many reasons. Get yourself some pH strips in the aquatic pets section of a pet store or the swimming pool section of a department store, or from your local drugstore. Make sure they measure below pH 7 as well as above. Test your homemade rinses and adjust accordingly. You can test other products also. Conditioner often gives a less-than-accurate reading because it's not all liquid (there are fats in there). But you can get a rough idea. What you do with this information is up to you. In my world - if I wanted to chemically relax my hair, I'd do it and hope it didn't eat the skin on my scalp. If I wanted to wash it with bar soap, I would do that (but no thank you to the soap scum). And I'd be armed with the knowledge that my hair had been chemically altered and therefore I would need to give it extra gentle care. If you want to use a citric acid or vinegar rinse - go for it. If it's too strong the first time, whip out your pH strips and find a pH your hair can tolerate. This is a TOTALLY AWESOME blog!! THANK YOU.😊 I am off shampoo and conditioners, and I am trying to figure out what is the best way to safely care for my hair. Deep gratitude coming your way!!!!!!!! Hey, do you have some references for this entry? I'm only asking because I just read a couple papers about pH and hair and the gist of them seemed to be that water itself cause just about as much cuticle raising as pH in the range of about 5.5 to 9. I'm trying to understand what the research says about pH in hair because I'm in the "I love soap in my hair followed by an acid rinse" camp (as opposed to the "OMG soap will wreck your hair" one. The reference is in tiny type at the bottom of the entry, it is a book. For the redox chemistry, I didn't provide a citation because it is "common knowledge" among people who have studied chemistry. Yeah - that was a bit lazy, but my textbook is in the wind at this point. Porous hair will swell in water. Don't think so much of that as "cuticle raising." The cuticles pop up as the hair swells - like if you covered a balloon with Post-it notes and then blew it up. Lower porosity hair takes a long while to swell in water. People love to work with hair that has been bleached in the lab - which is not necessarily representative. Always watch for that in the papers - did they study any virgin hair? Did they study hair from more than 1 individual? Lower porosity hair *may not* swell in soap lather. I have done at least 1 hair analysis on hair that did not swell at all in soap bar lather. It is very individual. If you love your soap bars and you're not experiencing any negative side effects after months or years, then disregard all the published stuff and just let your hair be your guide. Unless your hair was part of the clinical study, you're the expert on your own hair. Your hair didn't read the textbook. 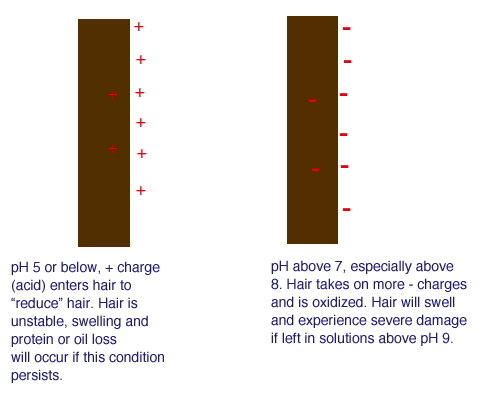 Most hair is the least vulnerable to *excessive* swelling between pH 4.5 and 7 or 8. Above or below that, it is more likely that problems will occur. But problems may not occur at all. We're going to find a certain amount of guidance in published materials, that's textbook science. But the only way to know for sure what works is to get to experimenting and making careful observations and modifying as necessary - applied science. Because your local water chemistry, your genetics, your haircare methods and products and your climate have a lot to say about how your hair responds and in the lab one cannot include all those variables because your results would be totally unmanageable. If you notice negative effects on your scalp or hair, you can use soap less often or grate your soap with a fine grater and mix a little of it with a mug of warm water to dilute the soap. I don't think it serves anybody well for people to make condemnations of an entire class of products based on generalizations either. People need to try things, make observations, and modify as necessary. In my experience, hard water is the more difficult problem with soap. With high pH products, some hair types will indeed be more likely to swell (more than in water alone or in a pH 4.5-7 solution) and that can cause dehydration and cuticle breakage. I have tested different people's hair in soap bar lather (when requested) when I do hair analysis. Some hair swells a lot, some does not swell at all in a reasonable time frame. But some hair is not particularly pH-reactive. And especially when you have a superfatted soap, you have a buffer in the oils to swelling as well as great lubrication so cuticles don't break. I'm an advocate for moderation versus, "Never use ________, it wrecks your hair!" That's overly simplistic and limiting. Please help!! My hair is suddenly falling out by the hundreds, as I touch it. Apart from tangling when wet, even when my hair is dry, it clings together and is like straw.. But if you have already been using hydrolyzed protein - you might need to stop using proteins for a while. Our well water has a ph of 9.6... My hairdresser recently discovered this and suggested a vitamin c treatment because my hair is like straw on the ends :( When I googled it, most people were using this treatment to take out hair color.... I have my hair colored so I don't want the color to come out. Can I use a citric acid rinse everyday? What would the ratio be? We used to treat our water with citric acid however, the injection system was not consistent. Any ideas would be appreciated. Is your water hard? In that case, a citric acid rinse might help with that dry feeling by removing minerals. And if citric acid doesn't work, vinegar might. If you wanted to use this every wash day, you would want to make an even more dilute solution than recommended in the post I linked to or you might dry your hair out. Those are meant for occasional use. For example, with the citric acid, you might need to double the water with the least amount of citric acid. (That would be more like 1/16 teaspoon citric acid in *at least* 1 quart of distilled water). You could mix a scant 1/8 teaspoon citric acid into a gallon of distilled water and keep it my the shower for a first rinse and/or a final rinse. That being said, pH 9.6 water is high, but it's not corrosive. That means - it's not as active as pH 9.6 in a baking soda solution or pH 9.6 in a lye solution. My water has a similar pH, so I'm pretty familiar with this. It's not an ideal pH, but it may not be damaging either. Minerals from hard water with a high pH will accumulate on hair much more than at a more neutral pH (7) - so if you have hard water, your problem might be the minerals + the higher pH. I am currently renting a place with slightly hard water and a low pH of about 6. My hair has never been so straw-like, tangled, and greasy-looked in my life. I shower at my house and it seems to strip out all my highlights that I have gotten, making my hair look dark and dingy. I am unsure whether the pH is the problem, or the water hardness, or both! Do you have any insight? How does this compare to the water you've used in the past? It is more hard? Less hard? The higher the pH, the more minerals bond to hair, so the pH of 6 is not increasing the effect of the hard water. 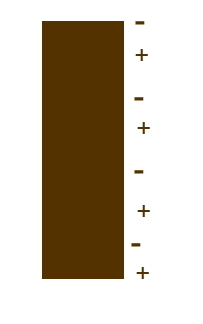 A pH of 6 wouldn't be outside of hair's pH range at which it is most resilient, and highlighted hair can tolerate a lower pH than un-lightened hair.